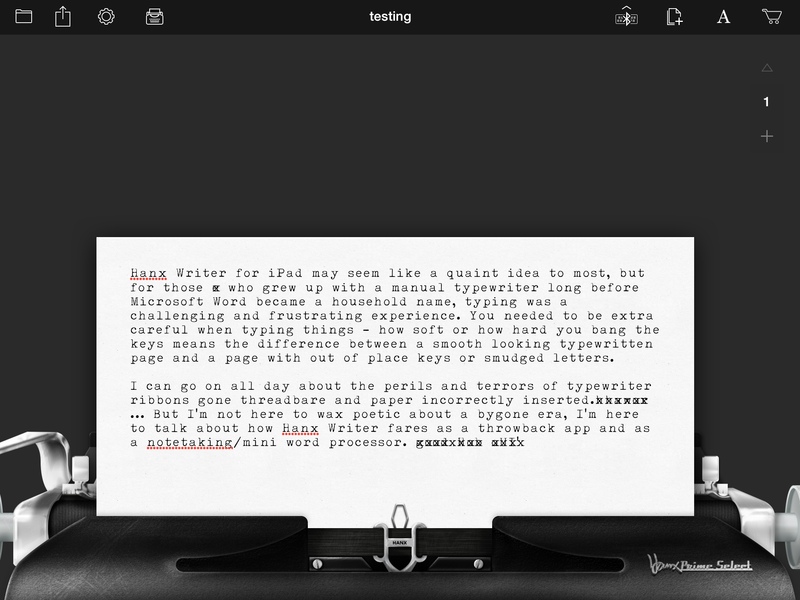 Hanx Writer for iPad may seem like a quaint idea to most, but for those e who grew up with a manual typewriter long before Microsoft Word became a household name, Hanx Writer brings back memories and then some. The app, incidentally, was commissioned and endorsed by no less than award-winning actor Tom Hanks who is a typewriter fanatic. Back then, typing was a challenging and frustrating experience. You needed to be extra careful when typing things – how soft or how hard you bang the keys means the difference between a smooth looking typewritten page and a page with out of place keys or smudged letters. 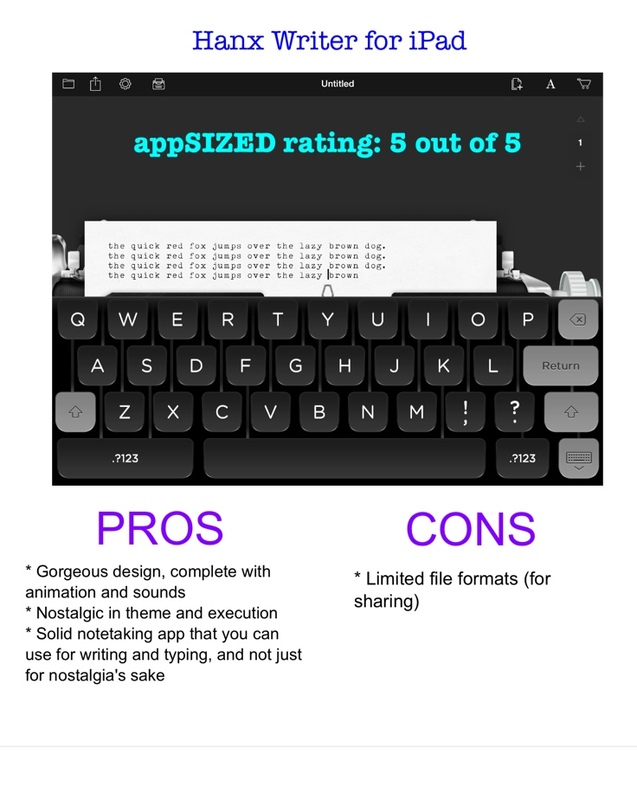 I can go on all day about the perils and terrors of typewriter ribbons gone threadbare and paper incorrectly inserted, but I'm not here to wax poetic about a bygone era, I'm here to talk about how Hanx Writer fares as a throwback app and as a notetaking/mini word processor. The fun part about having a 'pretend' typewriter like Hanx Writer is that you get to enjoy the perks of typing manually without the corresponding headaches. The fun part of typing then was hearing the clickety clack of keys and watching words being hammered out on the page with a couple of quick strokes – the less than fun part was dealing with jammed keys, smudged letters and uneven typing. 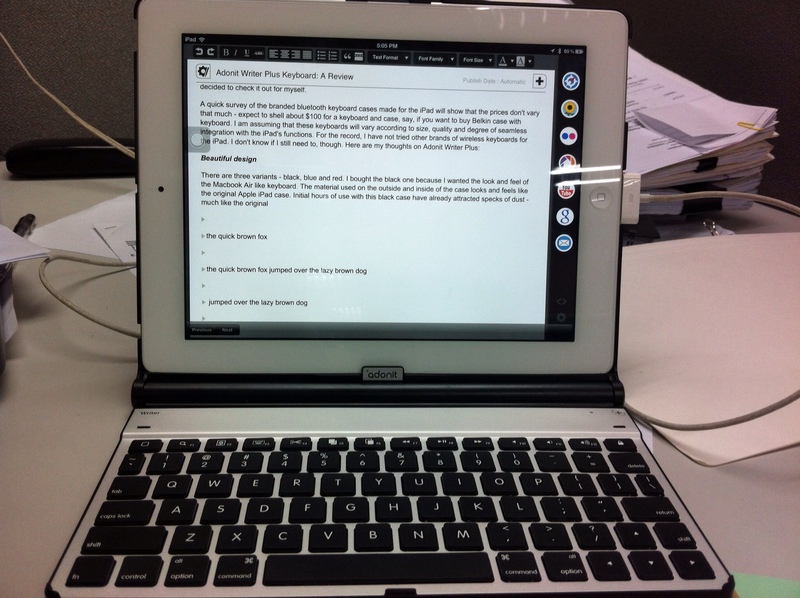 Nowadays, typing with a keyboard is a muted experience while a touchscreen computer is almost silent. 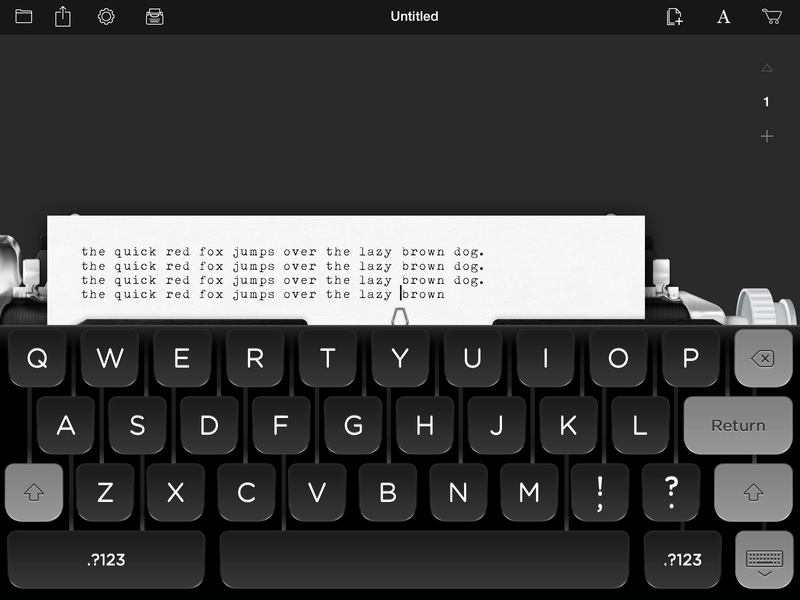 For a free app, you get to enjoy the experience of typing on a 'pretend' typewriter, complete with the clicking sound of the individual keys as you type and the ringing sound when you've reached the end of the line and have to move to the next. 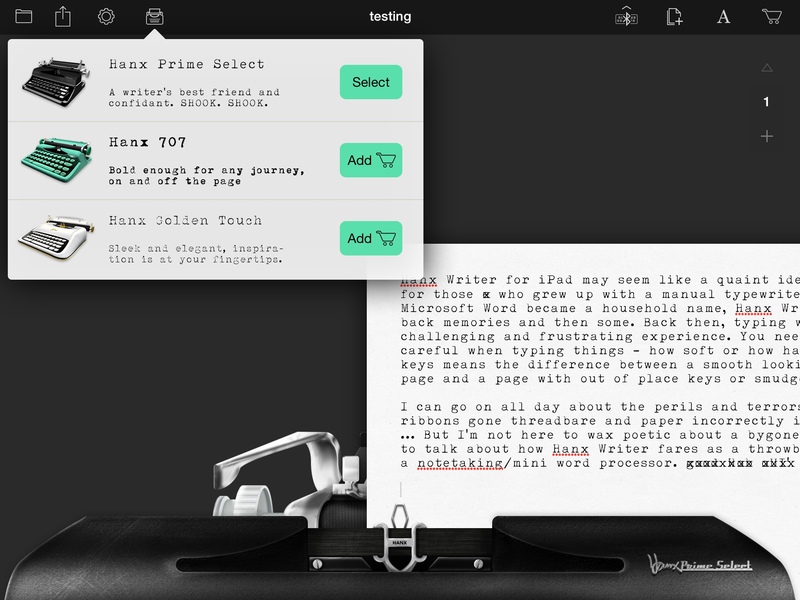 For the full-blown typing experience, you can even turn off the 'modern' way of correcting mistakes (read: backspace). However, it would also be nice to see keys a bit out of place just like what I was used to when I typed too hard. For select upgrades, you can try out new typewriter themes or styles or just get the entire pack for $5, which includes more ribbon colors, justify alignment, a title page with the option to put a picture, etc. Hanx Writer makes typing on the touchscreen keyboard fun, but I've tried pairing the app with my trusty bluetooth keyboard and the experience has been seamless. My only gripe with the app is that sharing options are limited. For now, you can only “share” or export your work in PDF, which you can of course open in other apps such as Goodreader and other PDF readers. It would be nice, however, to have other file saving options such as .txt or .rtf formats. The problem with new iPad models coming out every year is that shelling out a wad of cash for an expensive accessory lasts you a few months before the next model comes out. When you upgrade every year or even every other year, you are left with otherwise useful accessories gathering dust. However, with a little creativity, you can still maximize your old accessories and use them for your newer toys. Read on after the break! Since I got my first iPad in 2010, I have been ambivalent about buying a separate wireless/bluetooth keyboard to be able to use it. 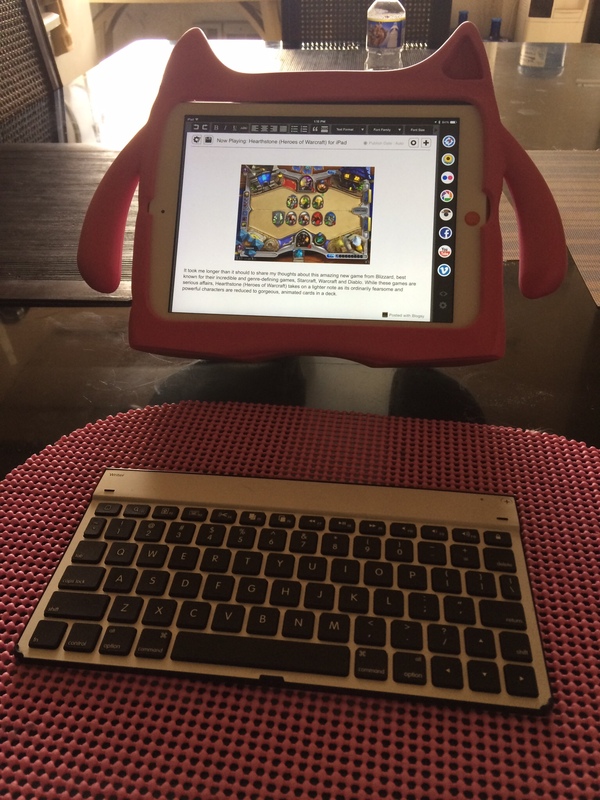 I’ve since taught myself to use the iPad itself for long periods of typing – but the accuracy of touchscreen typing leaves a lot to be desired, especially if you have auto-correct turned on.